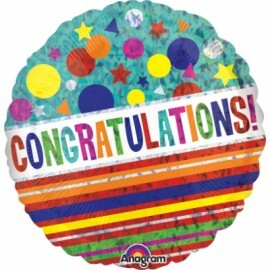 22cm Congrats! 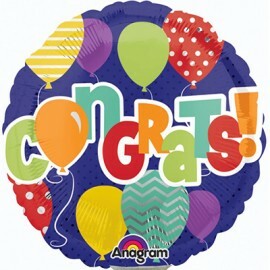 Balloons Design (Flat) Foil Balloon (Requires Air Inflation, Heat Sealing and Balloon Cup & Stick) Each..
22cm Congrats! 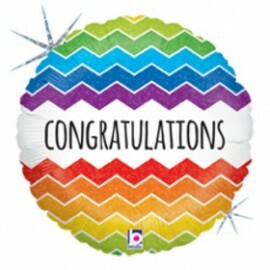 Balloons Design (Inflated) Foil Balloon (Supplied Air Filled on Balloon Cup & Stick) Each..
22cm Congratulations Chevron (Flat) Foil Balloon (Requires air inflation, heat sealing and balloon cup & stick) Each..
22cm Congratulations Chevron (Inflated) Foil Balloon (Supplied airfilled on balloon cup & stick) Each..
45cm Congratulations Sparkle Dots & Stripes Holographic Foil Balloon (Self Sealing Balloon, Requires Helium Inflation) Each..